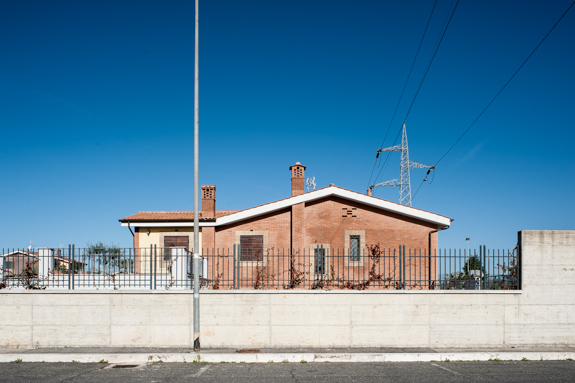 INSULAE is a project aimed at describing the search for isolation that the walls built around the new buildings of the new Roman suburbs represent. 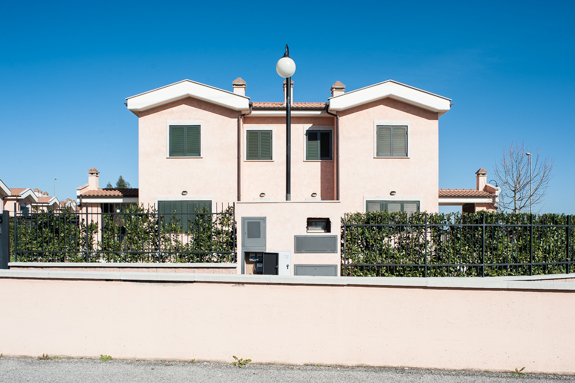 While in various parts of Europe new ideas in shared housing are being built, in Rome the goal seems to be to close citizens behind walls which separate them and keep others away. 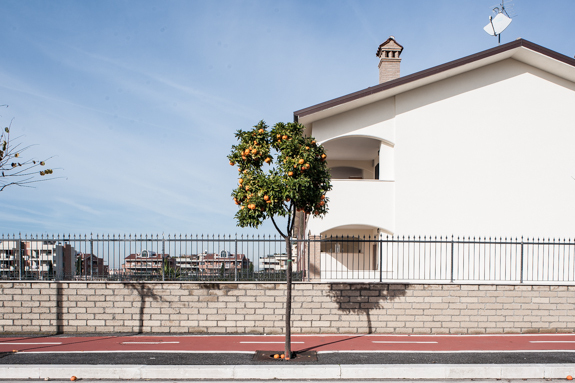 These photos were taken in the suburbs of Rome, built in the last decade with little public coordination and supervision, in an incoherent urban environment. The only common feature of these new suburbs is represented by the walls which enclose every block and every building, and completely isolate the residents from the outside, in a growing climate of distrust and fear of the other. This seems to me as a clear symptom of how the Italian society has changed in the last years.